When hydraulic oil turns from that golden honey colour of new oil to a dark brown, does that mean it must be changed immediately? We get asked this question time and time again, as well as is the system suffering from lost lubricating properties or perhaps has contamination occurred? Is this a normal ageing characteristic to be dismissed so long as the oil analysis results are within acceptable parameters? Many people compare the oil in their industrial hydraulic systems to that of their Car, Van, etc, assuming if the oil has turned to a dark brown that it must be changed as soon as possible regardless of how long it has been in service. It’s easy to overlook that the oil in an industrial hydraulic system is kept in a much different environment than the oil in an internal car or var combustion engine. A colour change from Golden to Brown in hydraulic oil is a good reason to be aware but not a good reason to go running to replace it right away. A much more important question to ask would be to determine why the oil has changed colour? Our main blended ISO, HVI & Biodegradable Hydraulic Oils. 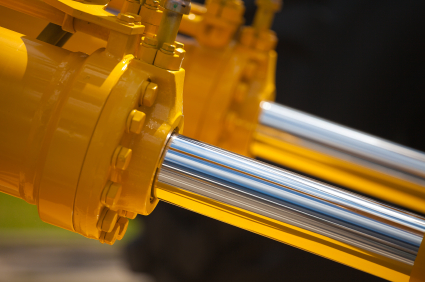 Hydraulic Oil Range or Hydro Trans Transmission Fluids & Oils often used in Hydraulics and Hydraulic systems. The two most common causes of oil darkening are to do with thermal stress and oxidation, neither of which will necessarily require that the oil be replaced. What we suggest is that you take a representative sample of the oil to the dealership and have it analysed if possible. We have noted hydraulic oil in the past that has darkened considerably but was still perfectly good to remain in service. We have also seen hydraulic oil that has retained its original colour but could not meet the parameters and standards necessary to provide adequate system protection. However, darkening of the oil can direct you to potential problems that may need to be addressed. All our Hydraulic Oils are laboratory tested and batch traceable, so when a sample of the oil is analysed, it can be determined if the number and viscosity have not changed. This would then eliminating the likelihood of oil oxidation and suggest that the change in colour was the result of thermal degradation. While oxidation, is a common reason that hydraulic oil stability is reduced, the amount of colour change is not a good indication of the level of oxidation. Antioxidants will react as they do their job, frequently producing change ranging from brilliant yellow to inky black. There are a number of factors that include formulation, operating conditions and contaminants, any of which can cause a considerable colour change without significant oil degradation. Again, the only way to be certain of the oxidation level is by oil analysis. Look for an increase in the oil’s viscosity and acid number as an indication of oxidation. System pressure can make a difference, too. As pressure increases, so does fluid viscosity, which causes an increase in friction and heat generation. Also, increased pressure results in an increase air and therefore oxygen. Contaminants are another factor that can affect oxidation. A sludge concentration in hydraulic oil will double the rate of oxidation as compared to fluid with no sludge at all.